Barnaby and I arrived in Argentina on Sunday and have been too busy to even think about posting. This morning we skipped a lecture and slept in, so I have a little time. Patagonia isn’t the easiest place to get to — especially when a nearby volcano has been erupting since June. 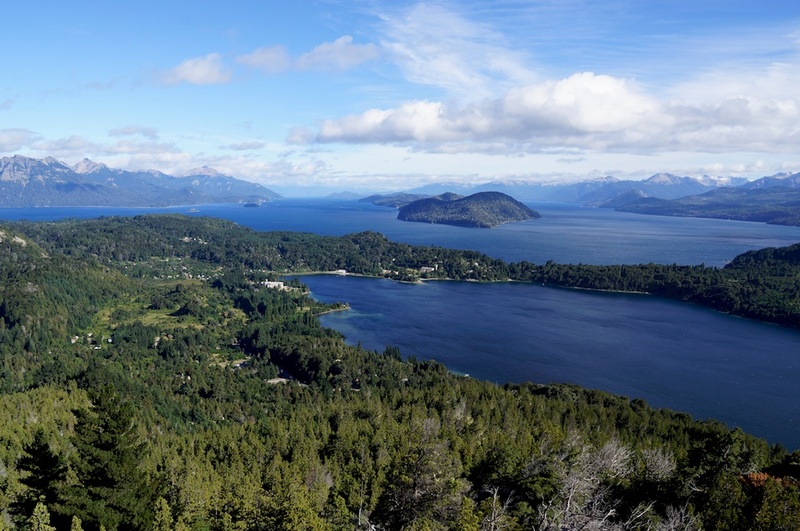 The airport in Bariloche has been closed since June so we had to fly to the nearest town with an airport and take a bus for seven hours. We have an even longer bus ride tomorrow to Chiloe Island — four hours to the border of Chile, then another 6 hours ride. I think we may be on a ferry at some point but it’s become so complicated I don’t even try to keep up. 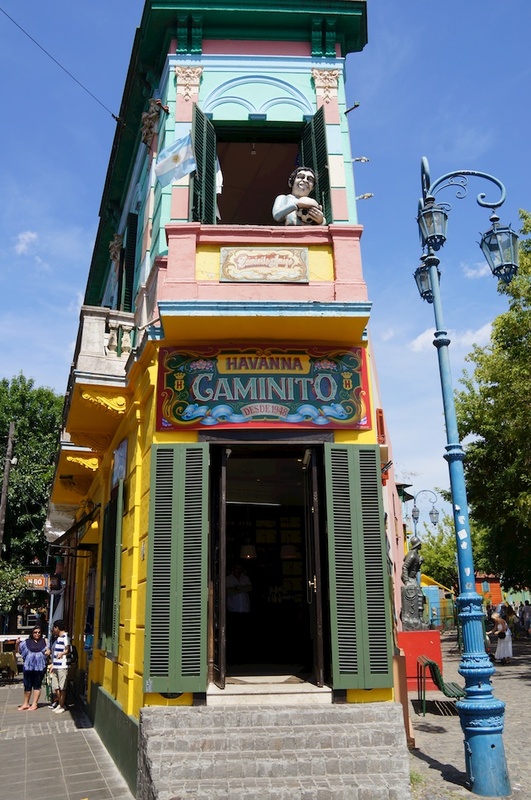 We spent the first day in Buenos Aires which is a beautiful city. 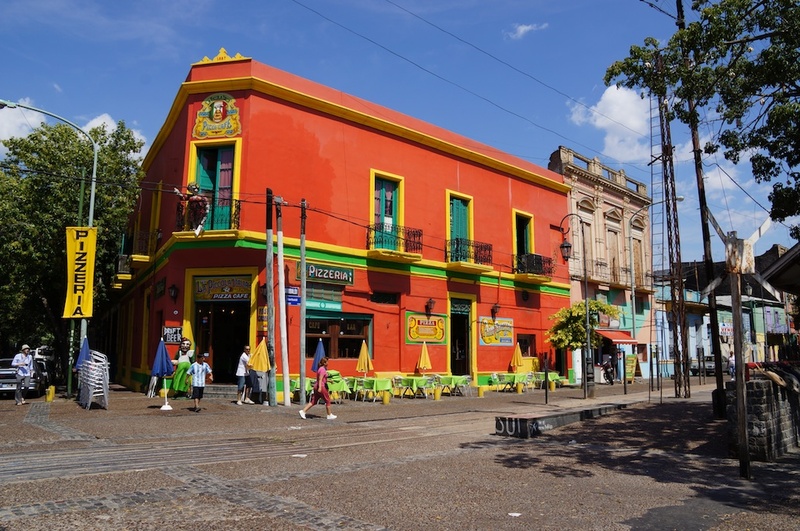 These photos are from one of the oldest areas — La Boca — which is very colorful. Barnaby and I wondered around one of the famous shopping streets — Florida Ave (just a little different from the Florida Ave in Hemet). 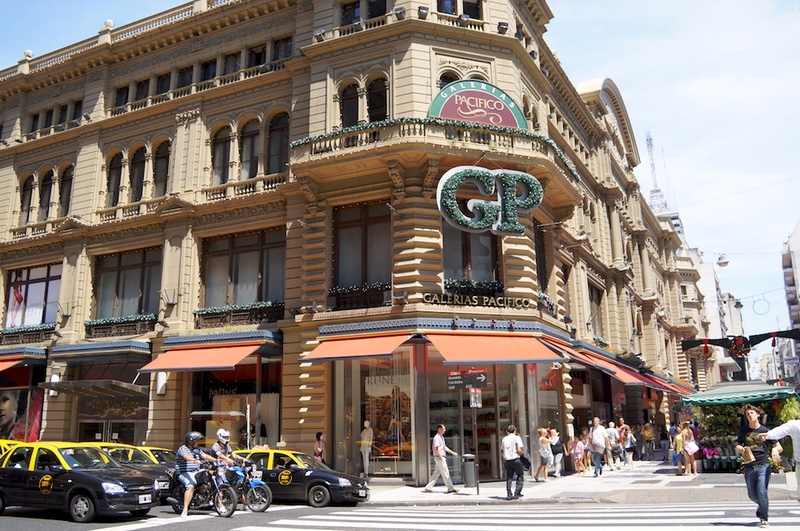 The Buenos Aires gallería is not so unlike our malls — though the architecture is stunning. 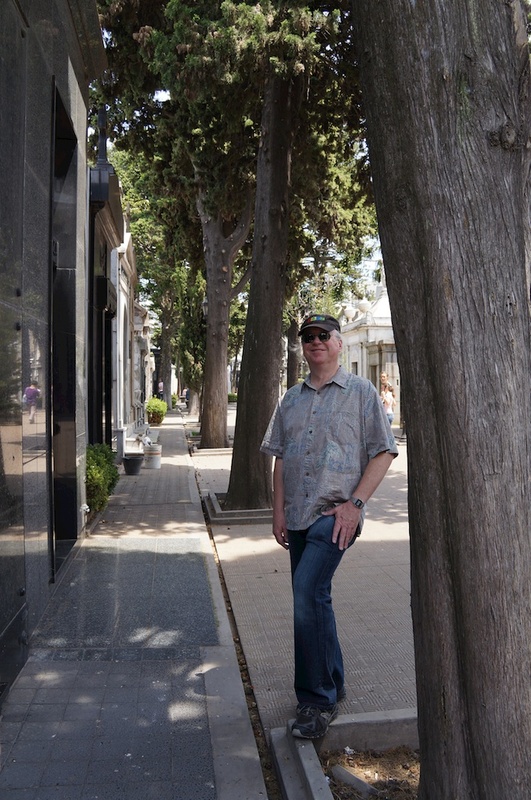 We visited the grave of Eva Peron…..
and learned how to tango. 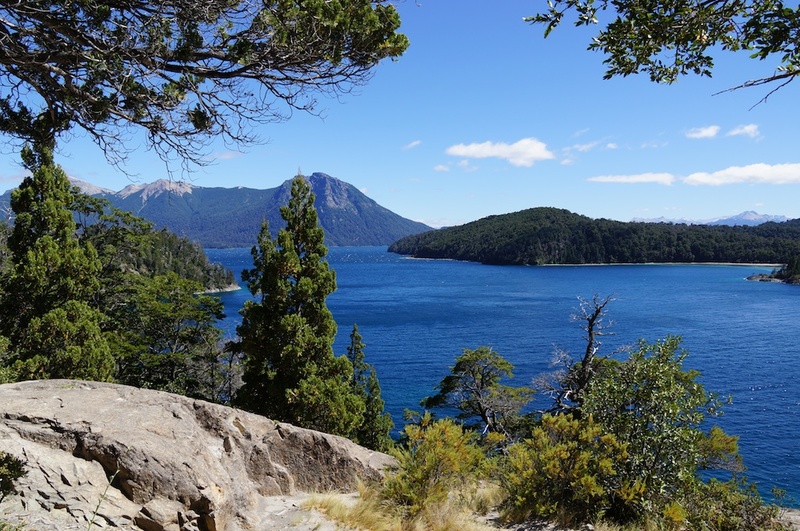 We have been so lucky in Bariloche. First of all, even though the sky was pretty ashy south of town, it’s been sunny and clear our two and a half days here. Summer is gorgeous here. We have the place to ourselves — the usual Argentine tourists are staying away because of the volcano. 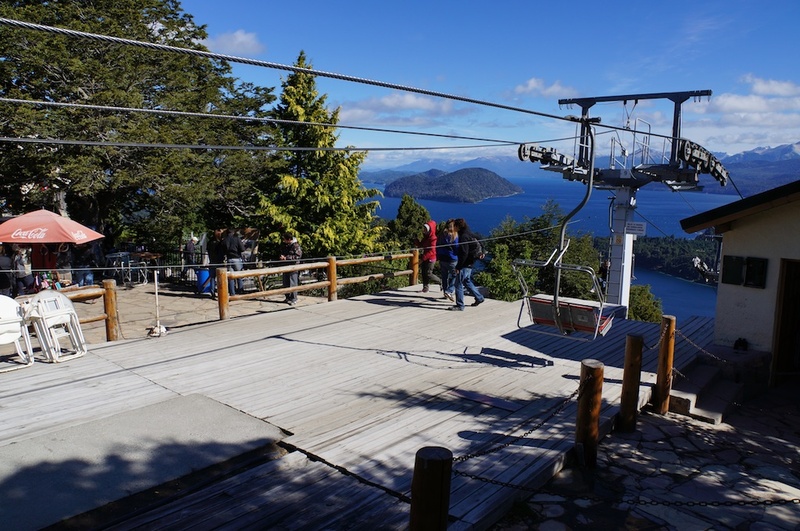 It was cool yesterday morning when we rode the lift up to one of the most beautiful panoramas in the world. We went on a short hike after having a choco-bailey (Bailey’s Irish Cream and hot chocolate). Yes, we are suffering. Some days we don’t even get three square meals! Last night we had fondue at a cute little restaurant “La Alpina”. 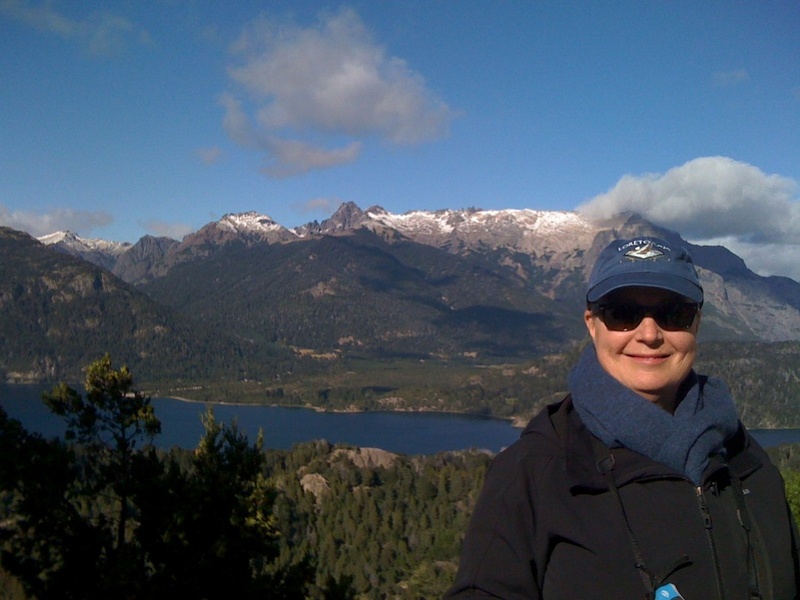 Patagonia (and Argentina) have a large immigrant population — the Germans brought beer and the Swiss fondue. After our hike we toured a local micro brewery (you know how I hated that!!! 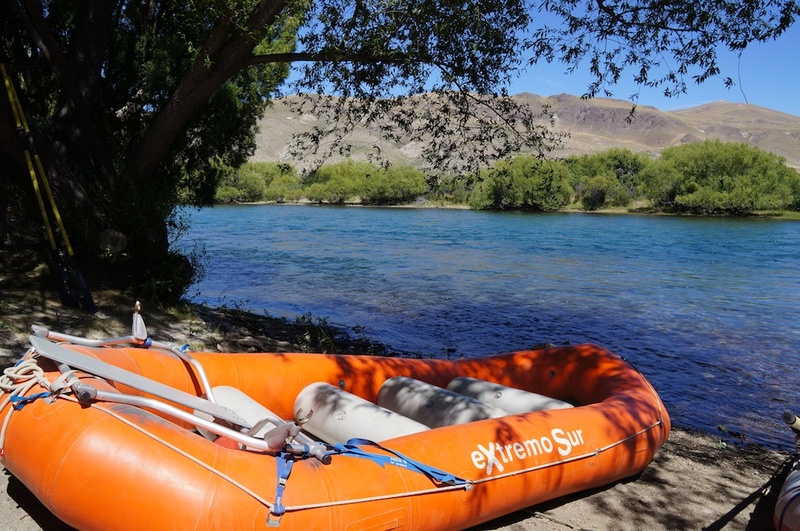 ), had lunch, then went for a float down the Rio Limay. We have been so lucky with weather — we didn’t even have any wind on our float. This afternoon we visited a family on their ranch about an hour out of Bariloche. 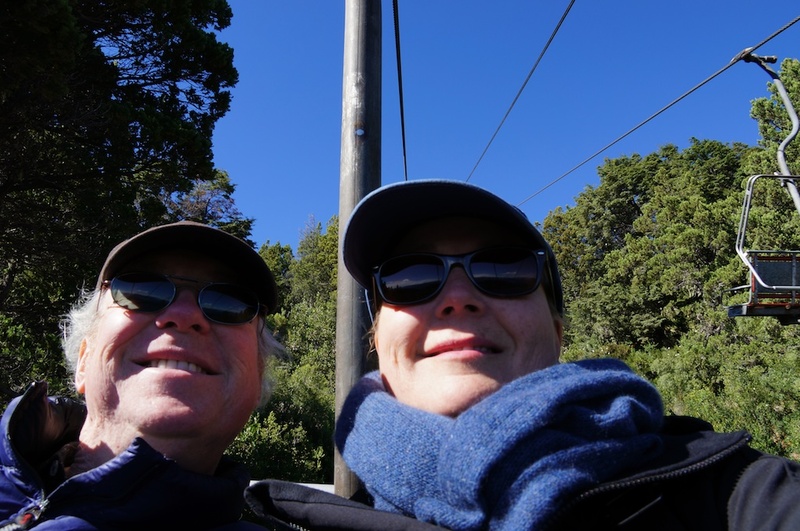 We hiked, rode horses, played with their dogs and feasted on a barbecue of beef and lamb accompanied by fresh vegetables, salad, homemade bread and flan. Our best meal yet. I’ll include photos with my next effort — now I have to pack for our early morning call. 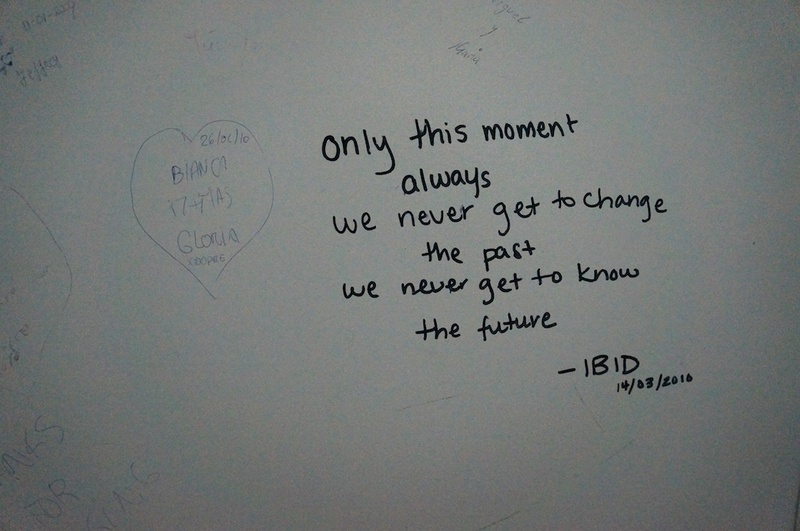 Yes — only this moment! Chow. This entry was posted on Thursday, January 12th, 2012 at 4:52 pm	and posted in Uncategorized. You can follow any responses to this entry through the RSS 2.0 feed.